The global water business is a huge growing market of over 20 BILLION U.S. Dollars a year. In many countries worldwide the growth rate is over 10% a year. The demand keeps growing as more and more problems are founds with the drinking water supplied and the contaminant levels in the water grow with pollution. There are also many areas where the water has never been really safe to drink. This is an introduction on how to determine the best way to do water a water project and be self-sustaining or very profitable. It is written for any group or person that would like to do any type of water project. WB USA has been in the water purification business for over 15 years and has supplied water purification equipment to over 500 water businesses worldwide. We are experts in establishing drinking water projects such as water refilling plants, water in bags, water stores, bottling plants and commercial applications such as pharmaceutical plants. We have also supplied equipment for U.S. embassies, Rotary Clubs, churches, schools and humanitarian water projects. Water has become one of the world’s biggest issues both in the lack of water and the quality of water people consume. Every day close to 10,000 die from consuming unsafe drinking water and over half the hospital beds worldwide have people in them with water borne illnesses, of them over half are children under five years old. This is a very important business that will be going strong for many years to come. Developing a water business can take several forms, such as running it like a franchise with multiple locations or one individual location. This applies to water stores, bottling plants, bagging plants, as well as bottled water delivery. There are many important ideas, elements, and concepts that need to be considered to allow for a successful business. You will need a business plan put together and will need to run the numbers to make sure your plan will work. In most cases you will also make changes to the plan as the business gets going. The first step that needs to be done is to setup a working model of the business concept that you would plan on marketing to others that would like to be in the water business. You will need to decide on a single business model or combination of business models. Water bottle refilling for delivery, 1-5 gallon bottles. To do this successfully, the location is the most important consideration. For water stores, the location should be in a high traffic area where people would shop on regular basis. If people bring the bottles to you by car you will need parking that is close to the store with ample parking. The location should be in an area close to housing and have a high density. For bottling and bagging plants it is important to consider your distribution channels and supplier location when picking the location for you plant. If your plant will include retail water sale it is important to find a location that your customers can easily access you. For bottled water delivery businesses it is important to select a location that provides a central or economically feasible location to your delivery routes in order to minimize transportation costs. Also it is important to decide on the income level you want your location in. This is always hard to do if you have never done this before. The most important idea here is to make sure that most of the people that shop in the area will buy your product. This can hard to do; you need to do your market research. Think about the total sales and profit. Would you rather sell 500 bottles at $1 or 250 bottles at a $1.50? Remember what your cost are, factor them into your decision on income level, and you can be very profitable. When deciding on where to do your water project there are many different types of locations, and you need to think about several important business factors when picking a location. There are thousands of cities that have a population with over 30,000 people that have a great need for safe drinking water, including some of the world’s largest cities. 15 of the 20 largest cities in the world have poor water conditions and many lack water all together in the urban slums. When considering locations for doing any sort of water project the urban slums are one of the areas with the greatest needs and are often most forgotten. Most urban slums do not have any water there and must be carried or trucked in. Some of the slums are also located on river or waterways that are extremely contaminated. The number of people living in the urban slums varies from a few hundred to over a million people. In most of the slums people have to boil the water to make it biologically safe, however the water still has many other contaminants in it. Providing safe drinking water at a low cost can also be a business model that is very profitable. Some water projects with this business model are making anywhere from $10,000 to 100,000 per month depending on the demand, population, and pricing structure. Some projects sell water in plastic bags for $0.02 USD per half liter; while the cost to produce is about $0.01 USD each. One of the key factors is to sell the water at a low cost and make money on the volume. In many areas people will bring their own container to be refilled at retail water stores and buy the water for 10-25 cent per gallon. How you sell the water will depend on the project type and conditions in your area. Some project owners are selling the water at over $0.50 USD a gallon and selling 2,000-3,000 gallons per day. For a water business to be self-sustaining it is possible to sell the water as low as $0.05 USD per gallon. If there are any ongoing expenses such as maintenance and filters the project must charge something in order to make the project self-sustaining. After you have decided on what type of business and where you would like to open your business you need to determine what your demand will be as for the amount of water you are planning on selling. This is very important in deciding what type and size of the equipment you will need. There have been times when the equipment cost was a major factor and people would buy smaller equipment and add to it as the business grew. This can be done, but the cost will be more in the long term. It is always best to over size the equipment so you don’t run out of water. The cost of the equipment goes down on a per gallon size price as the equipment gets larger, (example: it cost less for a larger pump then two smaller ones). To give you a quotation on the equipment you need we need to know how much water you plan to sell, the type of business and how many hours a day the plant will be in operation. Starting your own name brand is very important for any group that would like to take a water business to a higher level. When developing a name brand there are many key factors to doing this. Quality of the product is one of the most important issues that needs to be addressed and must be consistent. If you are starting a bottling or bagging plant or retail water store everything needs to be uniform in design and look. When having a major brand and you have a problem with one product it can potentially put you out of business, so it is best to keep the quality at a very high standard for the market. One of the most important things that need to be done is to get your product name in front of the public. This should be done by as many ways as possible, by having a clean storefront with logos, logos on clothing for the employees and delivery trucks if you are doing delivery, even for your wholesale accounts. Logos should be on all your advertising material and you need to keep your name out front. When expanding your brand name, it best to focus on a larger market of say 100,000+ people, by doing so you can expand out from one point to cover the area with more local water plants. You need to remember that to do advertising to an area that is a larger market costs the same if you are using the media like newspaper or radio to promote one plant versus five plants. Wholesale opportunities are one of the best ways to distribute water because of the return on a higher volume and benefits to both the water project and customers. Wholesaling water often results in greater profits, covers expenses all at once, increases the area that the water will reach and serve, creates jobs for wholesalers, and is also more convenient for customers. In many developing countries water wholesaling is done through local water delivery services and selling water in quantity to small stores, businesses, and factories. Wholesaling water can be a very beneficial operation for water projects and water enterprises such as bagging and bottling plants as well as water stores. Wholesale water sales are more profitable because you are selling a larger volume at a slightly lower price, bringing in more revenue through large purchases by wholesalers. This is beneficial because it can cover the project’s expenses with the purchases from one or several wholesalers, making any additional revenue from customers and other wholesalers. Also larger distribution will increase the service area and target market that the water will be available for, giving you a larger and more widespread customer base. Also there are benefits for the customers as well with wholesaling the water. First and foremost it is more convenient for the customer to obtain the water if receiving from a closer location such as a small convenience store or water delivery service. Also, it can create employment opportunities as people can take on the role of a water distributor through a water delivery route. Overall, wholesale water sales can be beneficial to both the enterprise and its customers. 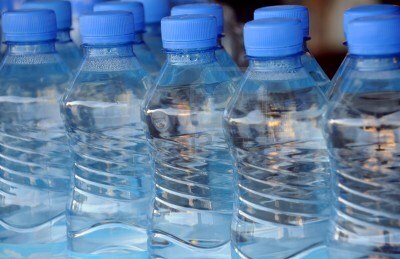 The country with the highest consumption of bottles water is Mexico. From 2003 to 2008 the growth rate of consumption per went from 41 gallons to 59 gallons per person; almost a 50% increase in five years. Over 70% of the water sold is bulk water in reusable large plastic and glass bottle (mostly five gallons or 20 liters in size). The bulk of the sales came from Water Stores and delivery truck for homes and businesses. The main reason for the huge growth was the water was sold at a cost that people could afford to buy. The current cost for five gallons or 20 liters is less than 1.00 U.S.D. in the water stores and 1.50 U.S.D delivered. The reason that water can be sold at such a low cost is that there is no packaging. With plants filling small bottles, the major cost is in the packaging. The cost of the water in most cases is less then 1% of the packaging cost. In many areas the water store is used as the water plant for delivered water. The total cost of setting up a water store with delivery is also the lowest cost of the different types of business. Please call our offices at (760) 744-4800 or email us at info@waterbusiness.com to get more information on these great business opportunities. We have helped establish many successful water projects worldwide and are experts in setting up water stores as well as bagging plants, cupping plants, and bottling plants.